Stacey Walters went looking for a neurosurgeon to do her neck surgery. She found him in the “patient testimonial” articles she edits for Covenant Health. Patient comments in those articles about Joel Norman, MD, a board-certified neurosurgeon at Fort Sanders Regional Medical Center, along with his outstanding quality measures and infection ratings, helped Walters determine he would be an excellent surgeon to fuse her bulging C5-6 and herniated C6-7 discs. Today, she too is singing Dr. Norman’s praises following her anterior cervical fusion last November. 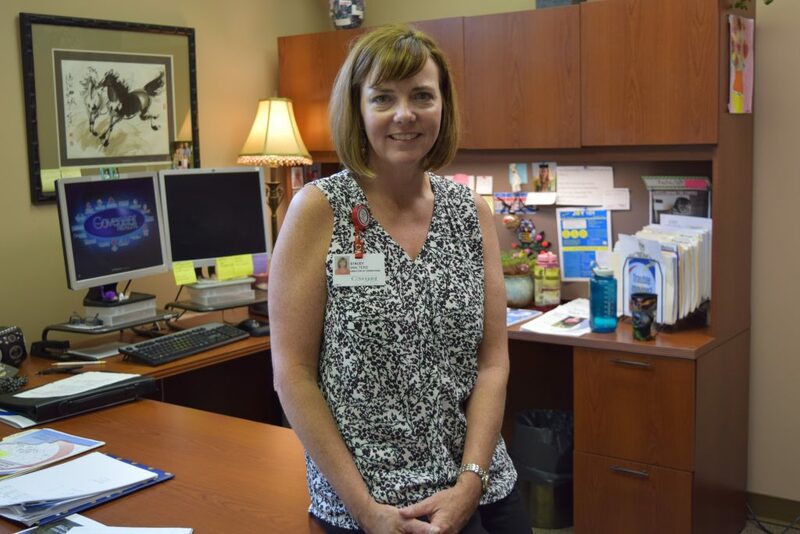 Walters, director of marketing and physician services for Covenant Health, had awakened with pain in her shoulder blade while vacationing last July. While it stopped hurting after returning home, it soon returned with pain radiating down her left, then her right arms. She was unable to grasp objects and her fingertips were numb. She tried massages and physical therapy, but relief was only temporary. Her primary care doctor suspected cervical disc issues, and ordered x-rays which confirmed her diagnosis. She then ordered an MRI and set up an appointment with Dr. Norman, the neurosurgeon whom Walters had read so much about. Dr. Norman did, indeed, recommend surgery. But as he began describing the process, to her surprise, Walters hesitated.